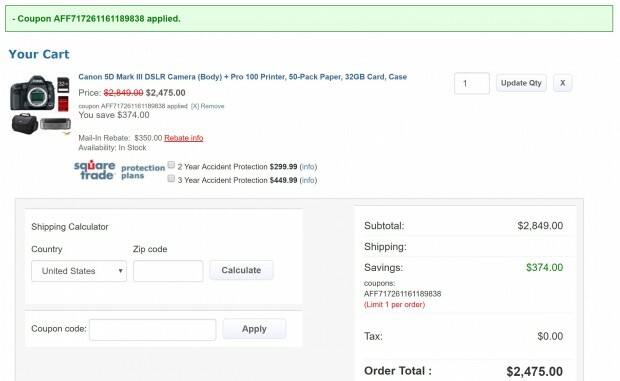 Hot Deal – Canon 5D Mark III w/ Pixmar Pro-100 Printer Bundle for $2,125 (AR) at BuyDig ! Canon USA authorized dealer BuyDig has a super hot deal on Canon EOS 5D Mark III with printer bundles. This is currently lowest price online ever from Canon USA authorized dealers. ← Today Only – Tamron SP 150-600mm f/5-6.3 Di VC USD Lens for $799 at B&H Photo !